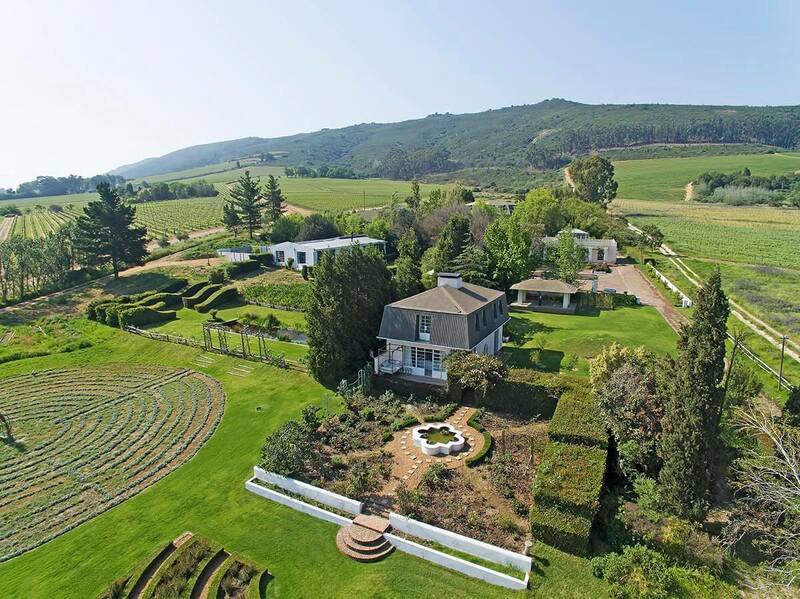 the views are exceptional from this small farm on the slopes of paarl mountain. 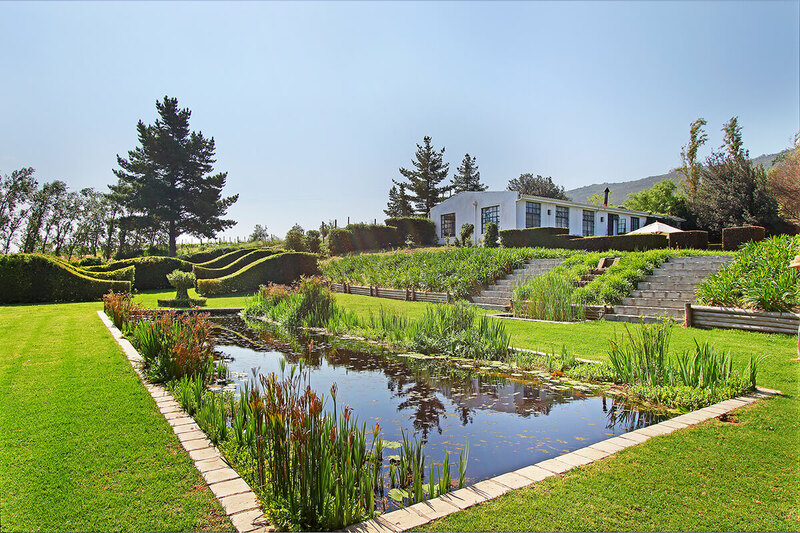 situated in the heart of the cape winelands district, on the suid agter paarl road, belair’s neighbours include several well-known wine estates: fairview, diamant, spice route, landskroon and ruitersvlei. 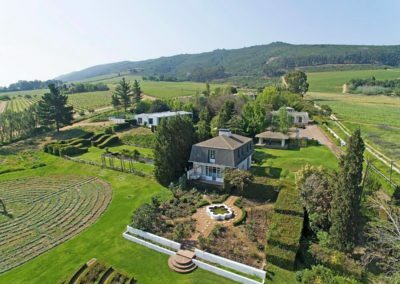 paarl itself, about 5 minutes’ drive away, is a real boland town. it has one of the prettiest oak-lined main streets, flanked by some superb examples of early cape architecture. 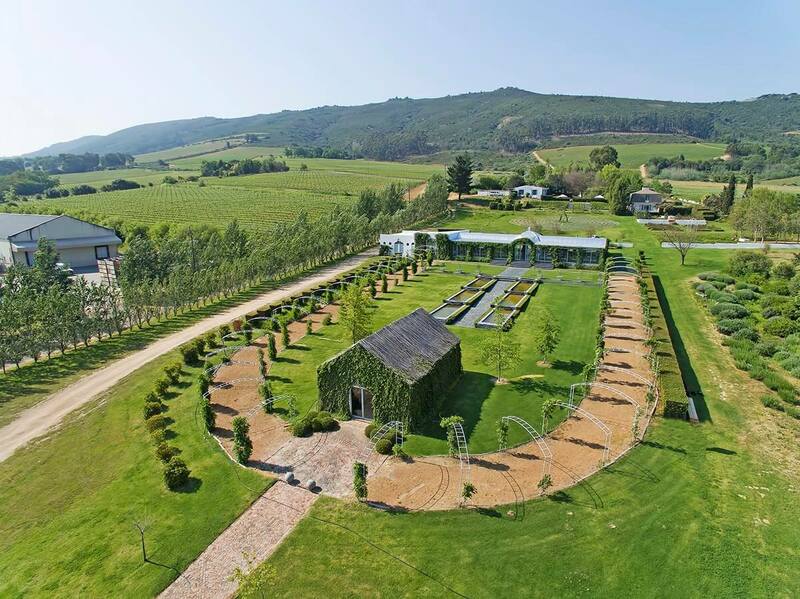 belair is home to one of the most beautiful country wedding venues in the western cape. the pavilion is a contemporary glass and steel venue, with wrap around glass doors. beautifully positioned in an exquisite garden, it is virtually alive, covered in evergreen star jasmine that is in bloom late october / november. 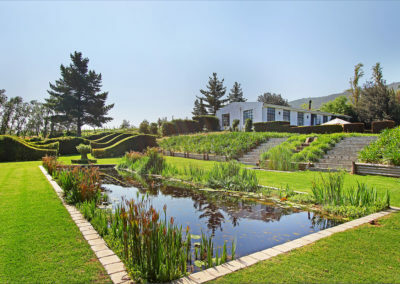 with breath-taking views of the boland mountains, belair is surrounded by magnificent scenery, where you can create a function that will long be remembered. a dramatic water feature creates an aisle linking the pavilion to a quaint ivy-covered chapel, all surrounded by wisteria covered arches. our fantastic fairy light lit, covered patio features a wonderful fire pit, an outdoor dance floor and a magnificent water wall. 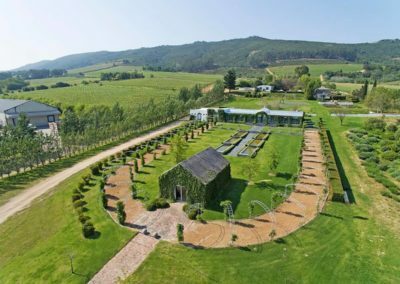 the charming country house on site, offers accommodation for up to 16 guests in 8 individually decorated suites. 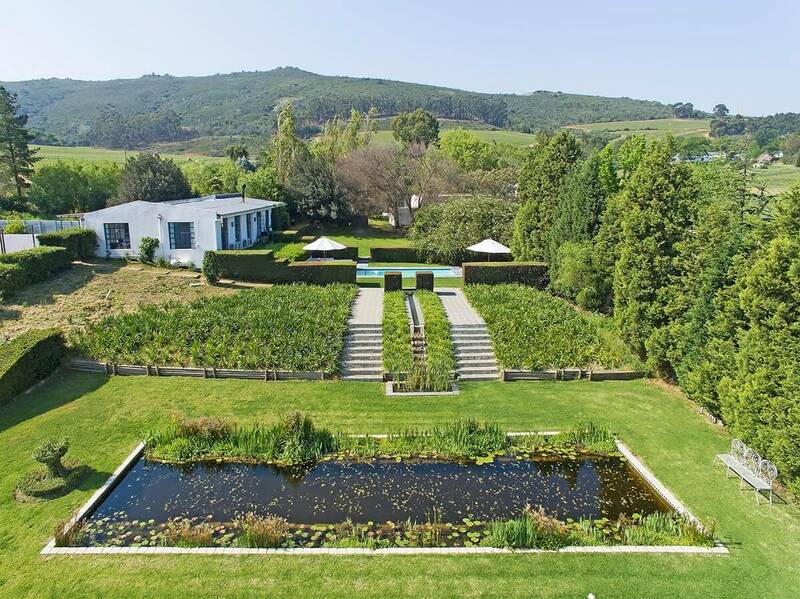 a full-scale labyrinth and exquisite reflection pool are only 2 of the many highlights that makes belair exceptionally different. the estate is not open to the public, ensuring privacy and exclusivity.